From early April to late September, the streets around Fenway and Kenmore Square become the capital of Red Sox nation, even longer if postseason play goes our way. The nation’s oldest baseball park is the place to be, as the beloved Red Sox play to win it all. The rest of the year, visiting Kenmore Square means appreciating art, music, food and shopping. Here’s a quick guide to this thriving Boston neighborhood centered around the intersection of Beacon and Commonwealth. Originally a swampy mess where the Charles River met the muddy marshes of Back Bay, the spit of land now known as Kenmore Square was called Sewall’s Point. Owned by Puritan Samuel Sewall, the judge who presided over the 17th-century Salem witch trials, the only residents were aquatic. But eventually it gained its footing as part of a settlement in the early 1700s. Sparsely populated throughout the next 100 years, eventually streetcar tracks connected it to the rest of the city. Soon to follow were apartment complexes, and Kenmore Square was on its way. Known as the gateway to Boston University as well as the Allston-Brighton neighborhood, it also served as a commercial crossroads for the tony Back Bay. Above it all, along came its pride and joy. Nothing drew crowds to the area more than when Fenway was built in 1912. Some of the best bird’s eye views of the Square can be seen from the Hotel Commonwealth. Boasting floor-to-ceiling windows for breathtaking views, some of the suites within this independent, luxury boutique hotel afford glimpses of Kenmore you might never have seen. Elegant Commonwealth rooms face the celebrated Kenmore area, while vibrant Fenway guestrooms overlook historic Fenway Park. But of course you’ll always recognize Kenmore Square’s mascot, the famous 60-by-60-foot Citgo sign, a skyline staple since 1965. Given credit as jump-starting the neighborhood’s urban renewal when it opened in 2003, The Hotel Commonwealth continues to add flavor to Kenmore Square with a grand property renovation. In addition to redesigning its entire collection of guest rooms this summer, the fall begins an even greater and more extensive expansion. This new wing will include 96 additional guestrooms and more than double the existing amount of meeting space and a multi-functional outdoor terrace. Guests will enjoy three new themed suites completed in autumn 2014.The Rathskeller Suite pays homage to “The Rat,” the legendary live music club that once thrived where The Hotel Commonwealth sits today. There will be a graffiti-inspired headboard, the Guitar Hero video game, and a Bose CineMate digital home theater speaker system (complete with turntable to spin some vinyl). The Terrier Suite takes on a more academic approach by paying homage to neighbor Boston University’s rich legacy with details including a photo montage of archival news clippings and a graphic tribute to beloved mascot, Rhett the Terrier. 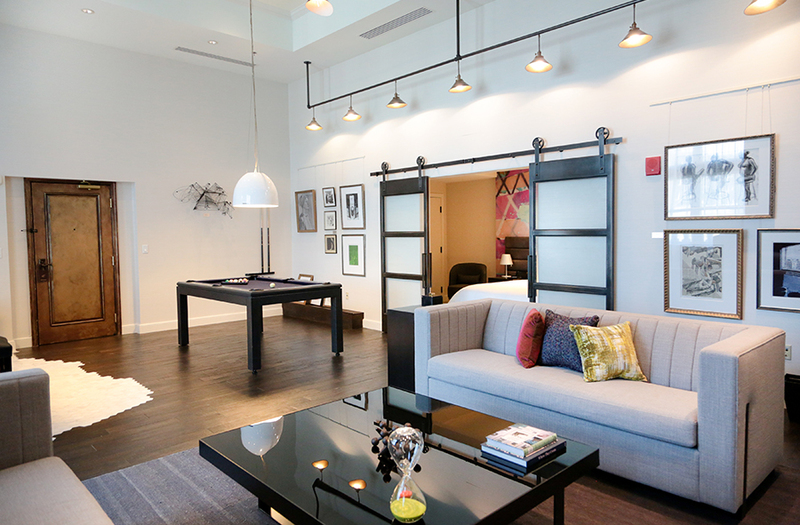 You can also channel your artistic side in The Loft, with industrial artist loft décor,an abstract mural by a BU art student, a studio table for dining and a pool table for creative inspiration during play. The facelift finishes with a renovation of the hotel entrance and lobby in winter 2015. 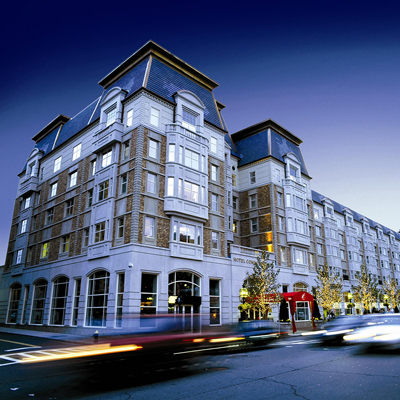 Just another way Hotel Commonwealth exemplifies the ever-changing face of Kenmore Square. When you aren’t listening to the roar of Fenway crowds, you can revel in the silence of a stately room brimming with fine art at the neighborhood’s museums. The nearby Museum of Fine Arts is one of the most comprehensive art museums in the world, with a collection of nearly 450,000 works of art. What’s your pleasure – ancient Egypt? Contemporary American? African? They have it all. Surrounded in a shroud of mystery from a great heist of its past, the Isabella Stuart Gardner Museum offers a more intimate collection of art housed in a 15th-century Venetian-style mansion complete with a lush outdoor courtyard. After your day marveling at artistic creations, hit the shopping scene along Commonwealth Avenue where you’ll find tons of boutiques, bookstores and the popular Nuggets Records, which opened in 1978 selling used vinyl and CDs. From fast-food burgers to decadent dishes, the dining scene in Kenmore Square has something for everyone. New restaurants are popping up everywhere, such as BurgerFi and the upcoming Amsterdam Falafel Shop, slated to open later this year. Loretta’s Last Call is a new country bar and restaurant that adds a little honky tonk to Fenway, with live music, down home cooking, wagon wheel light fixtures, a giant American flag and Southern-themed memorabilia. Although new can be exciting, don’t discount the tried and true. Several eateries stake their claim as go-to staples for Boston foodies. If you want a great made-to-order burger, UBurger hits the spot with patties and shakes. Cornwall’s pub food and pizza on the corner at Uno’s Chicago Grill are also tasty casual bites. Eastern Standard is a definite upscale favorite, with the posh patio boasting see-and-be-seen status for its crowds. For a romantic moment with French flare, stop in Petit Robert Bistro, a truly authentic French bistro. And of course there’s Island Creek Oyster House and its little secret—co-owner and head chef Jeremy Sewall is a descendant of the very same Sewall of marshy Sewall’s Point. How’s that for coming full circle? With all these places to hit, there’s no reason you should leave when the boys of summer pack up to head home. Enjoy Kenmore Square year-round.